Shri Amarnath Yatra is one of the most famous pilgrimage trips in India. This trip (yatra) is not available throughout the year and it is arranged for the fixed period of time every year. Shri Amarnath yatra travel guide helps you to get the information on how to reach, time, tickets, travel tips places to visit and shopping. In India, various pilgrimage places are there which are flooded with the devotees throughout the year. Shri Amarnath yatra is one of the most popular travel destination in During the months of July and August or during the Hindu month of Shravan, this yatra begins. 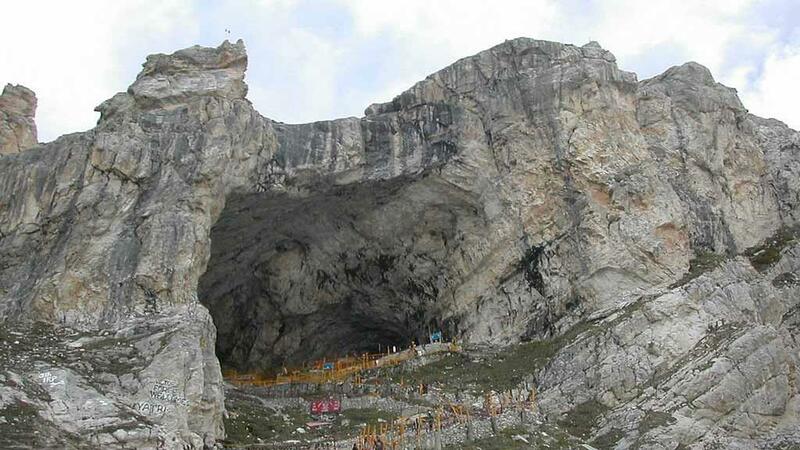 Thousands of devotees from all over the India visit this sacred cave and temple in south Kashmir in the Himalayas. In the year of 2016, this yatra has been already started on 2nd of July, which was a holy day of Shivaratri. The yatra will continue for 48 days and will be over on 18th August 2016. The nearest Airport to reach Amarnath is Srinagar. Helicopter services are also available from there. If you wish to reach there by rail then Jammu is the nearest railway station. By road also you can reach the holy place. There are two available trekking routes to reach the place. 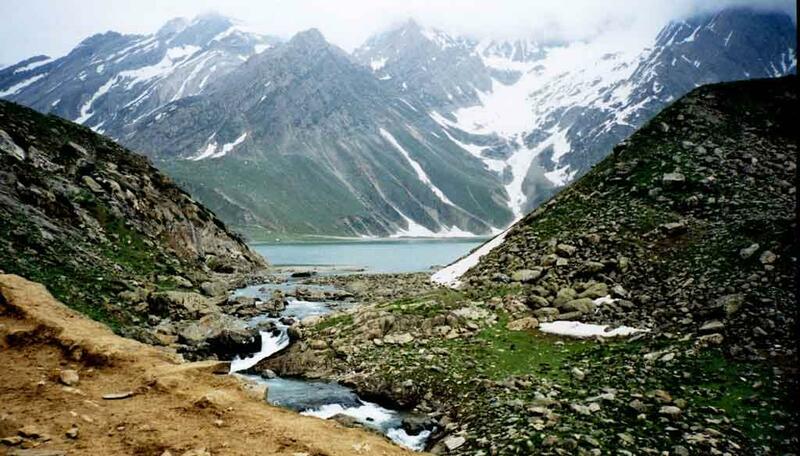 One route is the pahalgam route, which is used from the ancient time. Via this route you can reach the cave in five days as the distance from the Pahalgam to the holy cave is around 46 km. 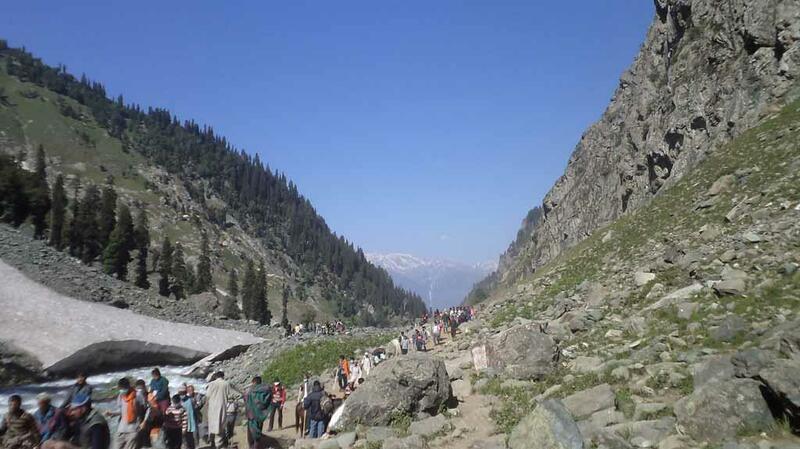 many devotees prefer to go by this route to attain the Amarnath Caves. One more route of 14km is available from Baltal to Amarnath Cave. This route can be completed within one day of trekking. This trekking route is petite but it is rather sheer. Very few devotees prefer to go this route as ponies cannot be used on this route and you need to walk all the way to reach the destination. The ancient Pahalgam route is well used by pilgrims as it is wider and enough places are available to walk or to ride ponies. You can also reach the cave by traveling in helicopters to save time and physical stress. If you wish to start for Shri Amarnath yatra, you need to get a "Yatra Permit" by registering your name with SASB. The insurance coverage of Rs. 1 lakh is allotted for every pilgrim. During this yatra, the service providers like Dandiwallas, porters, pony wallahs and the ponies are provided with Accident insurance coverage by SASB. The service providers who are registered with the State Labor Department before starting the yatra will get insurance coverage of Rs. 1lakh. Lord Amarnath Cave is situated at the distance of 140 km from Srinagar and 46 km from Pahalgam. The place is located at the height of 3888 meters above sea level. This holy place is considered as the house of Lord Amarnath. Thousands of Hindu devotees visit the shrine every year. The Amarnath cave is encircled with snow covered mountains. All over the year, the cave is completely covered with snow. During the summer season the cave is opened for the devotees for a short time. Inside the cave, you can take darshanam of Lord Shiva in the structure of naturally build ice lingam. As per the moon's phases, the shape of the lingam increases or contracts. Two more Ice Lingams or Maata Parvati and Lord Ganesha are seen near the main structure. In the year 2016, the Shri Amarnath yatra has started on 2nd July. As per the routine procedure, the pilgrims have to register themselves well in advance for the tour. This year the procedure of registration started in the month of March 2016. Normally this procedure works on first come first serve basis. The SASB (Shri Amarnathji Shrine Board) manages the Shri Amarnath yatra every year. 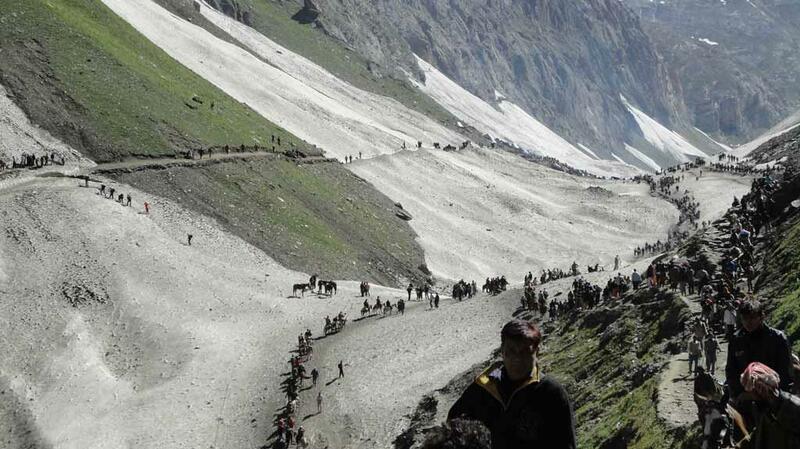 The allocation of devotees entering the Amarnath Shrine per day per route is fixed in advance. Online registration is available on SASB's website for the convenience of the devotees. The registration forms are also available in the banks like Punjab National Bank, Jammu and Kashmir Bank and Yes Bank. To provide necessary facilities to the devotees who wish to travel in a group, Group Registration Facility is introduced by SASB from the year 2015. During this yatra, many services like power supply, telecommunication, firewood, food and medical facilities are provided by SASB. When you have made up your mind to go for Shri Amarnath yatra, you have to make your body and mind strong before starting the tour. To keep your body supple, go for a morning walk regularly. You need to climb the high trekking track and for that, you have to start with deep breathing exercises. Compulsory Health Certificate from certified doctors is must before registering for yatra and obtaining the permit. To keep your body safe from the extremely cold temperature, use woolen sweaters, jackets, socks, and shoes. Cover your head too. For the precautions carry umbrella and raincoat too. You may also need gloves and a torch during your journey. Never forget to carry your identity card with you. Carrying a water bottle and snacks items is advisable. Cold cream and moisturizing cream will be needed to protect your skin from cold winds during the trekking, take proper rest after every few hours. Don't try to rush or run, walk slowly and patiently. Listen and follow the instructions and warning given by the authorities. Don't forget to keep a medical kit with you. Avoid taking any type of drugs when you are on the trek. Avoid taking fried or oily food as it many spoil your health. It is better to avoid taking old people 80 years and above or small children for the Shri Amarnath yatra. This holy place has importance as it is believed that Lord Shiva explained the Secret of Life to Devi Parvati at this place. Buddha Amarnath Shrine: This Shrine is situated at Poonch and Annual yatra is conducted here. This is the place from where Shri Amarnath yatra starts. 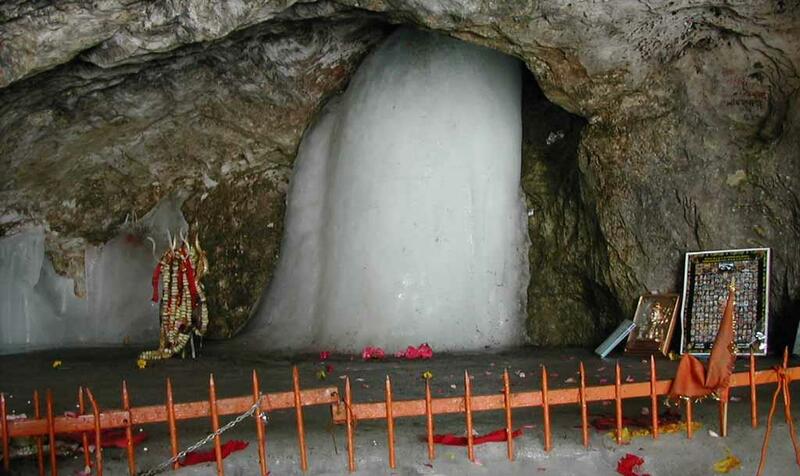 Ice Shiva Lingam: This Ice Shiva Lingam is situated inside the Amarnath cave. The shape of this ice structure is similar to Shiva lingam and it can be seen during the months from May to August. Two more ice structures are seen there representing Devi Parvati and Lord Ganesha. This place is located near Amarnath cave at the distance of 6 km.this wonderful place is the meeting point of five rivulets and this is the last camping point of the tourists. This holy lake is snuggled within seven mountain peaks. The water in the lake is greenish blue and it is covered with ice till the month of June. Shri Amarnath yatra is a pilgrimage tour but if you want to gather some memories of the tour then you can visit the market in Pahalgam. The market is famous for woolen products. Apart from the woolen items, you can also find variety items like jewelry boxed make with stone and wood, embroidered furniture material, mirror frames, and few accessories. Furniture made with walnut wood and complicated carving on it is also much in demand. We had an awesome trip to Amarnath yatra 2016, It was an incredible experience for me. Better do not trek alone and try to travel in groups.